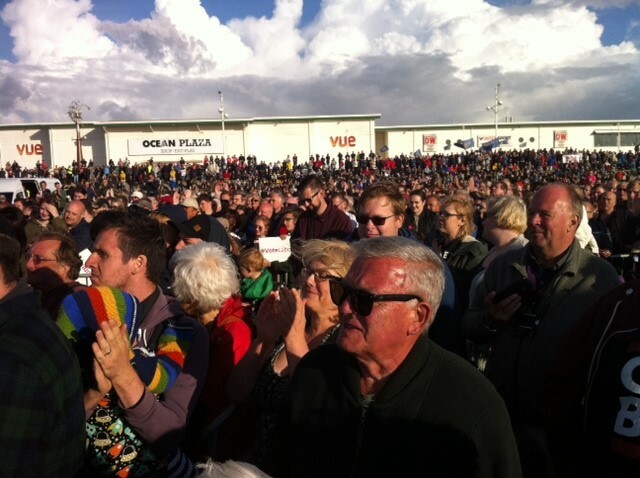 Jeremy Corbyn’s Southport Rally “a stunning success”. 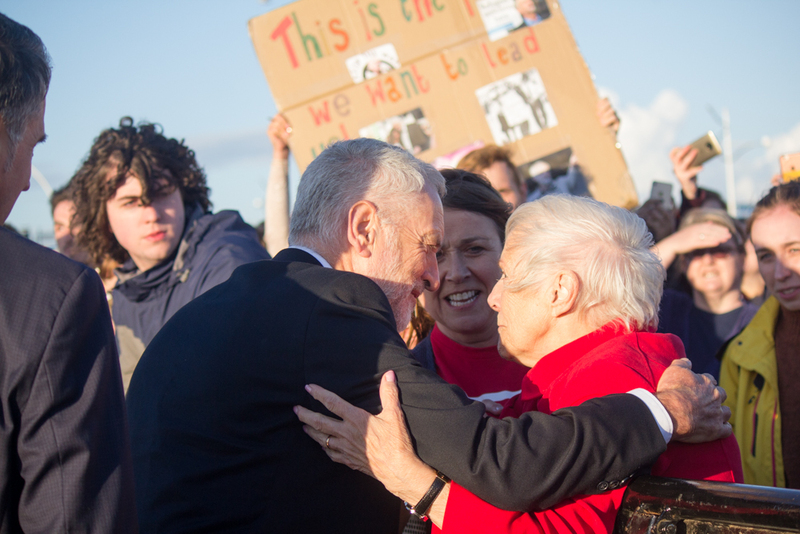 Southport felt the full Jeremy Corbyn effect last night, with the Labour Leader holding a big rally on the beach front. Estimates claimed up to 6,000 people attended the event, despite the very poor weather which threatened it earlier in the day. The rally had a host of Labour party notables as speakers and guests with Liverpool City Region Mayor, Steve Rotherham, acting as compere. Former Deputy Prime minister John Prescott, who until Liz Savage’s result in June was the last Labour parliamentary candidate to come second in Southport back in 1966, was also well-received by an enthusiastic crowd. Local party chair, Mhairi Doyle, told them details of her experiences working for the DWP and the injustices she’d witnessed. There was no doubting the main attraction, however, was Jeremy Corbyn. 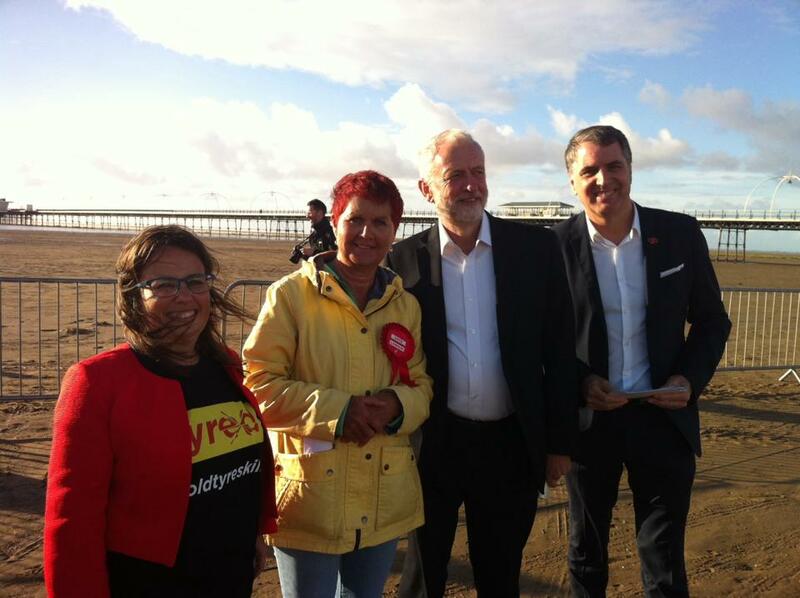 During the rally, Liz Savage was also called up on stage by the Labour leader who warmly congratulated her on nearly quadrupling Labour’s vote in Southport since 2015. He also talked of how proud he was of his party’s manifesto which he said was now in its third reprint. To the crowd’s cheers, he contrasted this with the Conservative manifesto which he said was removed from their website the day after the election. After his speech, he spent as long talking to members of the crowd, stopping for selfies and signing t-shirts and memorabilia. Previous Previous post: Jeremy Corbyn Visit Confirmed!